Employees feel tension being available around-the-clock, according to a recent survey from Randstad. This research shows that employee morale and engagement are on the decline because of a lack of coping skills. The question is: how do you improve employee workplace performance? Training and development form passion and purpose. It’s important that companies make sure employees have access to the proper training which will develop the skills needed to succeed in a competitive employment market. Our healthcare management courses provide you with the tools you need to achieve a sense of balance. “If you can increase the average level of engagement in your organization, you will likely see the productivity of your entire workforce increase,” explains Michael C. Mankins in Three Ways to Actually Engage Employees. Take advantage of the specialized healthcare curriculum development services offered by Avidity Medical Design. We design curriculum based on your personal needs, and also teach the courses that we develop. Avidity Medical Design incorporates one or more instructional design strategies within each course to help students apply classroom knowledge to real-world situations. Sheila D. McCray, MS, CCS, CCS-P, is the principal of Avidity Medical Design. She has a M.S. in Instructional and Performance Technology from Boise State University, and certifications in Captivate, Dreamweaver, SharePoint, MS Office, and multiple healthcare-related areas. Contact us to get started today. If you have any other questions or comments, we’re here to help you. Thanks! In today’s economy, employee management becomes even more crucial to a business’s success. Even though things started to pick up from the standpoint of our current recession, our healthcare industry is still struggling in part due to the Affordable Care Act. In fact, a recent poll listed financial issues as the top problem for healthcare system management. Any business, especially in healthcare, would be wise to exert extra effort in terms of employee management in these turbulent times. In our economy,employees won’t hesitate to leave for a better salary, and prospective employees won’t want to work for a business with poor employee management. Employees who find it difficult to relate to one another with regard to business endeavors because they are all trained differently and aren’t on the same page. Employees who receive lower salaries and sparse raises, which are almost unavoidable in our current economy. Employees who lack technical savvy. Many businesses heavily use technology in everyday dealings, and some employees may not be up to speed in terms of technology. Employees who have a negative attitude and, as a result, impact the productivity of other coworkers. Employees who leak information via social media. This is increasingly problematic due to the ease with which employees can access social media. Not addressing these issues and poor employment management, in general, will lead to a decline in employee productivity and employee retention. A great way to address the issue of difficult employee relationships, for example, is to have a mandatory training course that helps all employees get on the same page in terms of professional workplace communication. This is especially crucial in the area of health information management, where healthcare practitioners are all trained in the same general subject matter but with differing approaches and even different vocabulary, depending on their specialty. 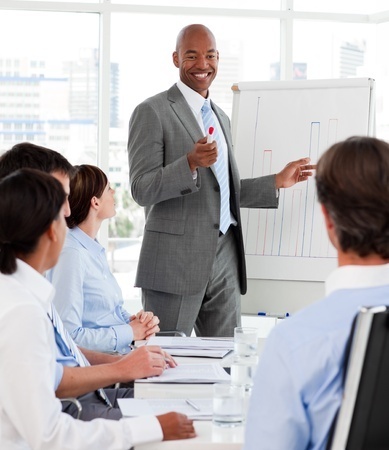 Avidity Medical Design provides training that addresses problematic issues surrounding employee management. Blended learning courses, for example, place healthcare practitioners on equal footing in terms of how they relate to one another in the workplace. Courses are tailored to specific healthcare specialties. Medical coding students receive comprehensive training in ICD-10 and clinical documentation improvement. Medical transcription students receive the same level of training, but the focus shifts to teaching them how to accurately transcribe operative reports, emergency room records, and other types of clinical documentation. Contact us today to learn how we can train your employees to optimize their job performance and improve their relationships in the workplace. Employee turnover rates can be devastating for some employers. Each lost employee leads to missed opportunities and decreased productivity within the organization, while increasing the burden on current employees. When these factors are combined with the requirements of recruiting, the overall costs can be as much as three times the original salary. The best way to minimize these costs and create a better working environment is to understand how you can minimize employee turnover. There are 10 key steps in retaining employees, many of which are especially important for those in healthcare settings. The mental and physical demands of healthcare require employers to be proactive in creating an environment that allows employees to thrive. When these needs are met, turnover rates decrease, productivity and morale increase, and the workplace atmosphere becomes one of improved teamwork. These employee-provided causes show employers not only why employees leave, but also how management can fix these issues to retain current talent. Employers who address these issues increase employee retention and improve employee performance. Organizational culture is a key area of employee retention. Employers who create and follow a value-based culture based on respect, honesty, teamwork, attitude, and excellence of services not only retain current employees, they also attract recruits who value working in a positive environment. Training should become an integral part of both new-hire practices and ongoing development. Employees who receive ongoing training and support feel more valued, better able to achieve their goals, and gain an improved understanding of key job requirements. Mentoring programs provide new recruits with a solid means of developing necessary skills, while also encouraging feedback relationships to assist with achieving personal and career goals. The pairing of experienced employees with new recruits is vital, especially in healthcare settings. The sensitive nature of the job can overwhelm new employees, and the availability of a mentor allows new recruits to openly address their feelings and issues, rather than abandoning the position. Employees need to feel that they are valued, and that their input is taken seriously. Institute communication programs that encourage and promote employee feedback and suggestions, and ensure follow through from upper management. While salary increases and benefits are important, employees need to know their work is appreciated. Adding scheduled Employee Appreciation activities and rewards builds employer/employee relationships, and promotes a better working environment. Ongoing coaching improves understanding of organizational goals, and guides employees on how they can meet them properly. Coaching should be used for both under-performance issues and as a way of showing employees whether they are meeting organizational goals. Providing opportunities for employee growth is essential for minimizing employee turnover. These opportunities also help employees reach important milestones for career advancement. Employers who provide training courses and workshops also retain employees at a much higher rate due to each employee’s perception that management is committed to helping them grow and achieve long-term success within the company. Employees who receive recognition for their contributions are motivated to increase personal performance. Employees need to know that their efforts are appreciated, and this enhances retention exponentially. Scheduling practices should focus on providing the best balance between work and family. Flex time, compressed weekly schedules, and telecommuting options ensure employees can meet the demands of their employer and their families. When this balance is addressed, it leads to higher productivity, fewer call-offs, and better retention. Businesses that focus on instituting these steps will lower turnover rates, and improve the organization as a whole. If you are interested in creating training opportunities to retain good employees and minimize turnover, contact Avidity Medical Design today.